It's very useful for Electronic lovers. You can make it be more powerful and useful beyond your imagination. 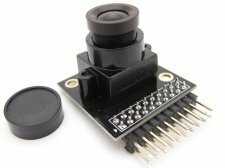 8、 Module pin is standard interface 2X10 2.54 mm, and convenient for cable to connect directly with microcontroller I/O for collecting images.